For those who use heated styling products daily to straighten their hair, keratin treatments have proven to be almost heaven-sent. Their semi-permanent straightening effects save tons of time every day. However, the straightening is just part of the story – keratin treatments can leave your hair in its best shape ever. 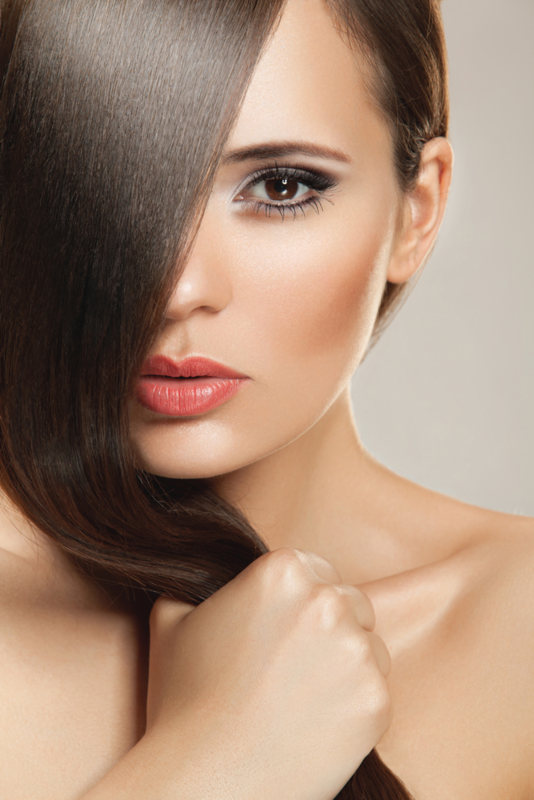 Keratin is a protein that makes up the structure of hair, skin, and nails. Each strand of your hair, which is 90% keratin, is made up of the cortex – the center portion of hair that forms its structure, and the cuticle, layers of cells that stack against each other to protect the cortex. Heat from styling, as well as friction from rubbing together, can cause damage to the cuticle, at which point the individual cells separate from others and start to lift away, exposing the cortex, which can then be damaged by heat. It is a reduction in keratin that resulted in damage, so replacing that keratin can repair the damage. By infusing new keratin into the hair, the damaged cortex, which resembles a frayed rope, is put back together into a single strand. Cells in the damaged cuticle are set back into place and once again overlap each other, protecting the cortex. The result is a 90% reduction in frizz and an amazing silkiness and shine. Blow drying time is reduced substantially – your hair will be nearly maintenance-free. Keratin hair straightening treatments promote healing, block the effects of humidity, and protect your hair from harmful environmental toxins. Because hair texture varies, keratin treatments can last for three to as many as five months, with virtually no straightening touch-ups between treatments. Over time, keratin treatments can improve the health of your hair, bringing it to a better condition than before. If you’d like to try a keratin hair straightening treatment, make an appointment today with one of our professional, highly-trained stylists at Untangled Salon. You can find us at 19924 Jetton Road, Suite 105 in Cornelius. To schedule an appointment, just give us a call at 704-895-9300 or send us an email at info@hairuntangled.com. Prefer to schedule an appointment yourself? Use our free mobile app. You can download it for free at the AppStore, on Google Play, or Amazon.